Each season I love to make a new wreath for the front door. 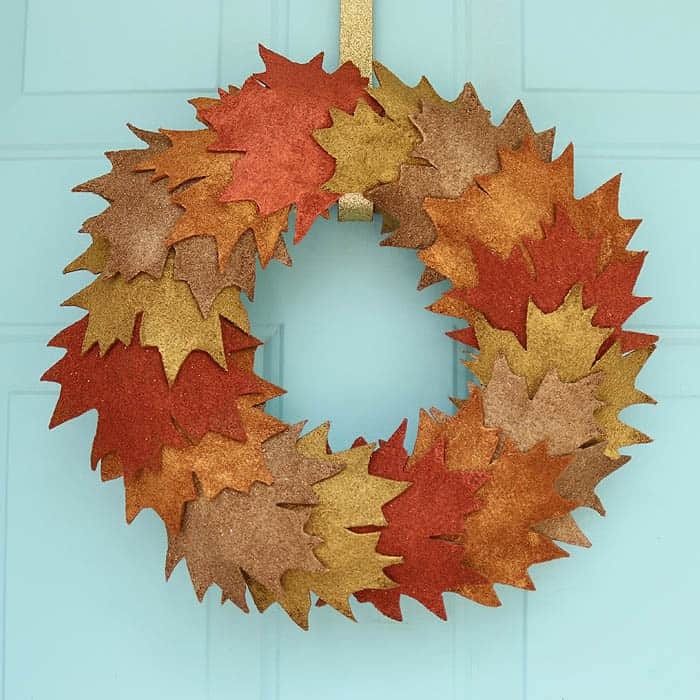 I came across this Pottery Barn wreath thought it was perfect for fall. 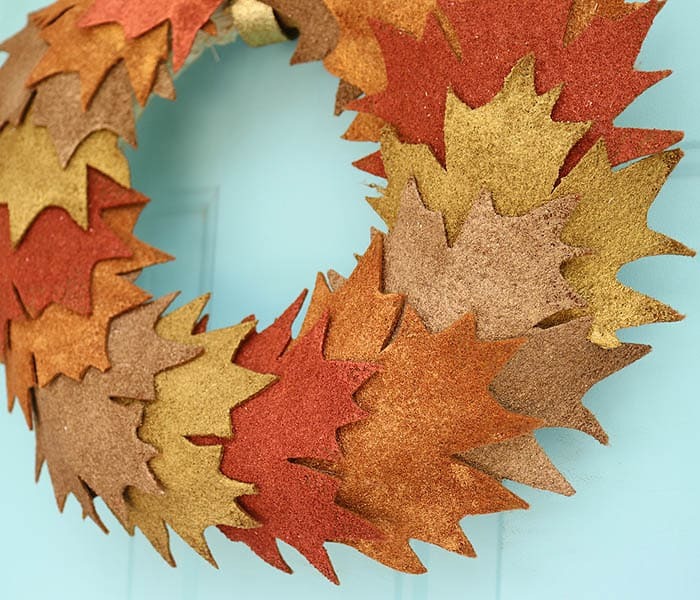 Naturally a Leaf Wreath DIY was in order! The original features metal leaves but I decided to re-create the look with felt and metallic paint. 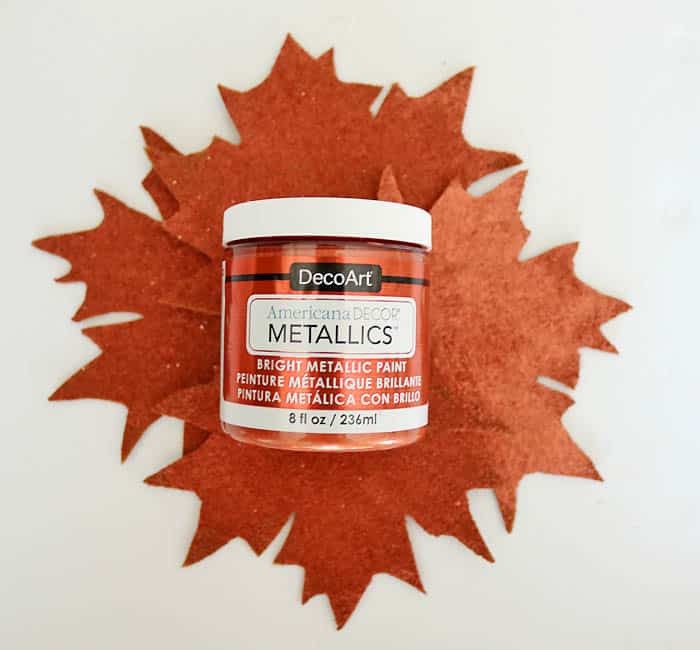 DecoArt has these Americana DECOR Metallics paint that is so beautiful! They make an inexpensive material like felt look so luxe! 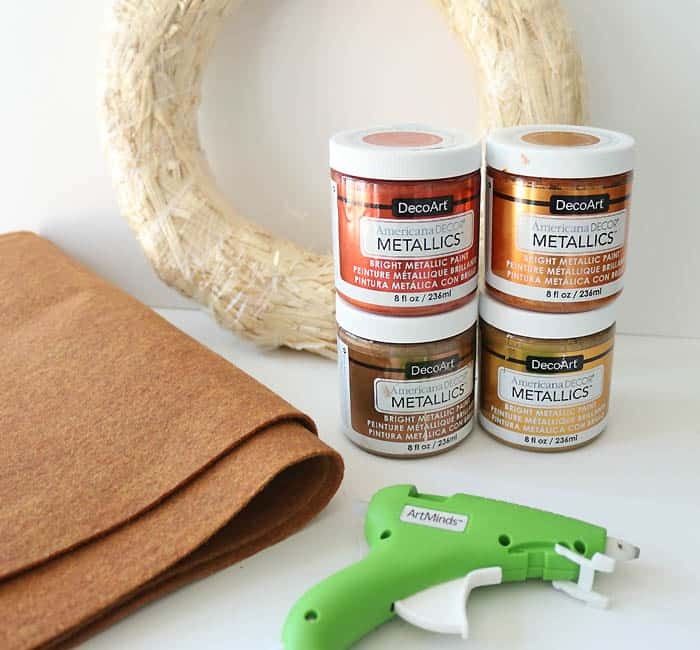 This paint isn’t just for craft projects, you can use it on furniture too! 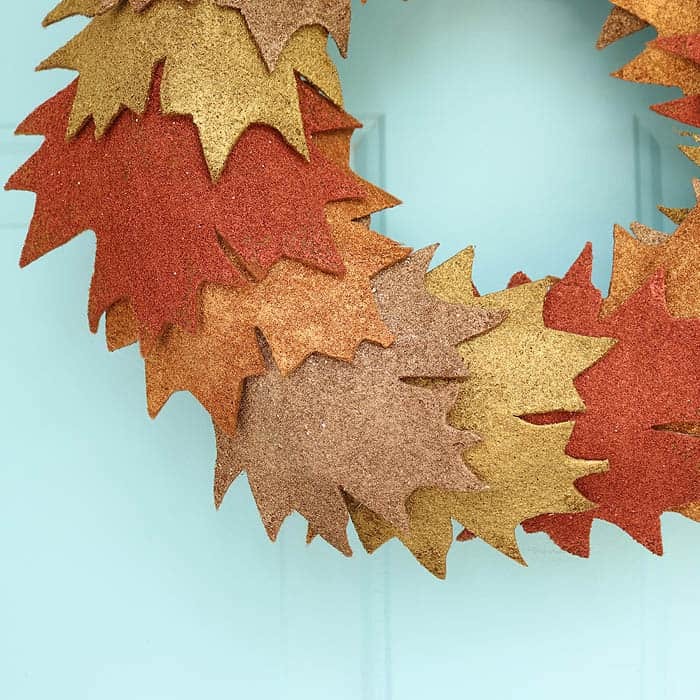 This wreath only took a few hours to make (not including drying time) Cutting out the felt leaves moves along fast, especially since you only need 16 of them. I love the way this wreath looks on the front door. The metallic paint is so pretty when the light hits it! *The wreath comes wrapped in plastic. I left the plastic cover on and glued the leaves on top of it. If you remove the plastic the straw sheds a lot. I had no issues with hot gluing on top of the plastic. Print out the picture of the maple leaf. Cut it out and use it as a pattern to cut out the first leaf. 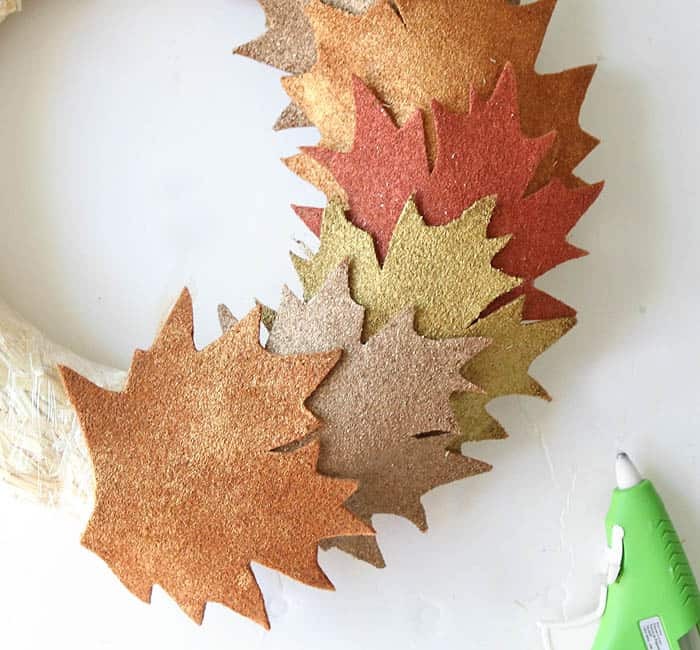 You can tape the leaf to the felt to make it easier to cut. 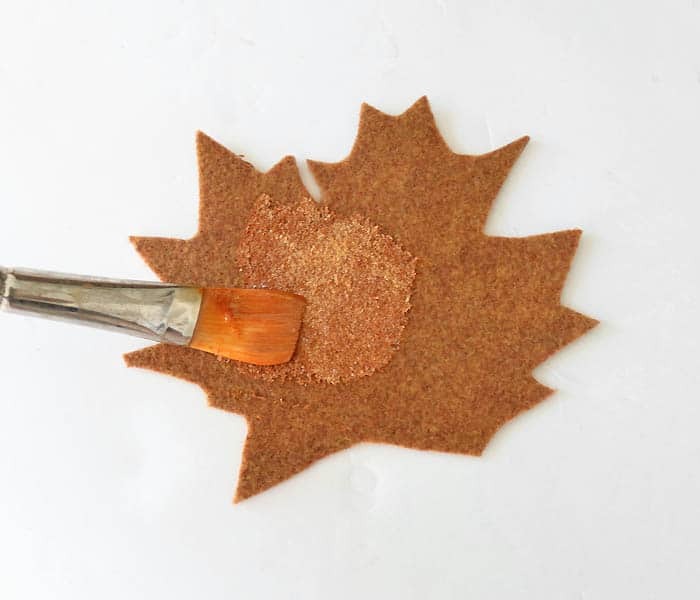 Then use the cut out felt leaf as a pattern to cut out all the other leaves. Divide the leaves into 4 groups and paint each group a different color. I gave the front of the leaves 2 coats of paint. No need to paint the back. 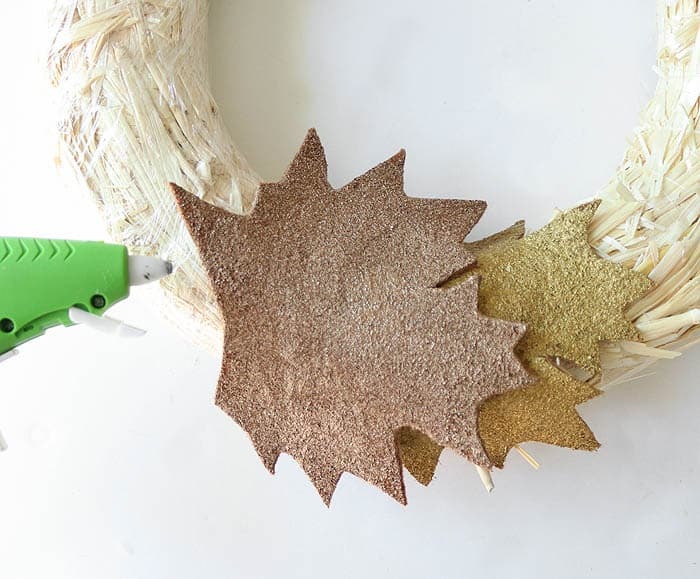 Start by hot gluing the first leaf to the wreath. Then apply glue to the second leaf and layer it on top of the first. Keep working all around the wreath, alternating colors.